One of Phoenix's Top Dentists! Each year, Phoenix Magazine surveys more than 1,500 dentists in Phoenix to select the best of the best. Dr. Gibbons has made this list every year since the survey began: 2003, 2004, 2005, 2006, 2007, 2008, 2009, 2010, 2011, 2012, 2013, 2014, 2015, 2016 and again in 2017! Congratulations Dr. Gibbons! Dr. Gibbons is a Dentist, and a Prosthodontist. Which means that he has extensive training in prosthodontics. When general dentistry is not enough, it is a prosthodontist that provides an added level of care, especially in the restoration of the teeth or in improving the smile you already have. Dentists who specialize in the advanced dentistry of prosthodontics spend three more years after dental school in a highly-technical training curriculum. This advanced study and Dr. Gibbons decades of clinical experience allow him to successfully treat the most complex patient situations and meet the highest aesthetic expectations. Dr. Gibbons grew up in Southern Arizona and attended the University of Arizona in Tucson. He then went on to dental school at the University of Oregon where he earned his Doctor of Dental Medicine (DMD) degree. After graduation, Dr. Gibbons joined the U.S. Navy and completed his military service before returning to Tucson to practice general dentistry. As a practicing dentist, Dr. Gibbons discovered a strong interest in reconstructive and aesthetic dentistry. Following his heart, he enrolled in a three-year specialty training program called a "Prosthodontics Residency Program" in Wilmington, Delaware. This program gave Dr. Gibbons specialty training in prosthodontics, crowns, bridges, implants as well as complete and partial dentures. This program also trained him in Maxillofacial Prosthetics, which is the restoration of teeth and oral and facial defects for trauma and cancer patients. 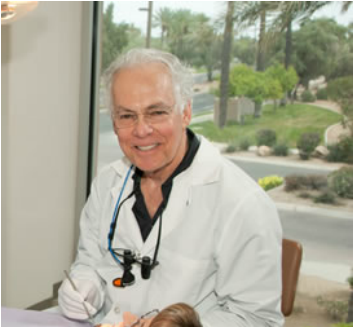 Since completing his prosthodontics residency, Dr. Gibbons has practiced in his hometown of Scottsdale, Arizona.